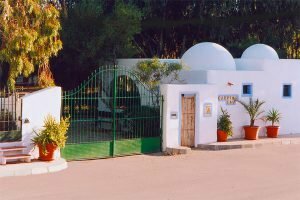 The Camping Lodging Tau is located in the Sierra de Cabo de Gata, in the coastal village of San José, capital of the Natural Park. 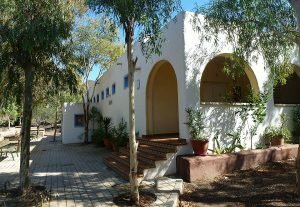 The Camping Lodging Tau, is located in the Sierra de Cabo de Gata, in the coastal village of San José, capital of the Natural Park and entrance to the most beautiful and wild beaches of the coast. This mountain range extends along more than 40 km. of beaches, cliffs and volcanic landscapes, being the paradise of people looking for a beautiful and quiet place for their holidays. 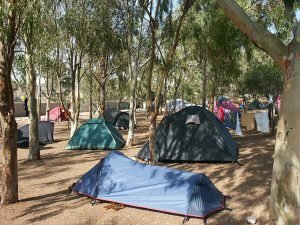 Camping Lodging Tau is located in the Bay of San José, with fine sand and more than a kilometre in length. At one end is the marina that connects with the Square of Genova through a promenade with market every afternoon. 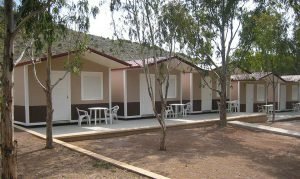 A three star campsite with all the necessary facilities for a comfortable and pleasant stay, with new generation Toilets, Electricity Pitches, Hostel Rooms and All Inclusive Apartments. 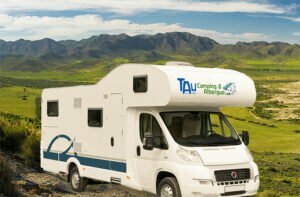 A tranquil campsite ideal for familiy, with bar-restaurant, games area, service area for motorhomes, diving club and sea excursions. 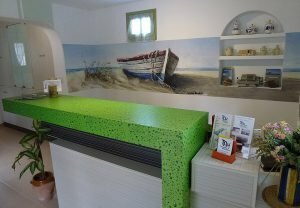 Only 250m from the beach and 300m from the town centre, you will not need to take the car, which will be parked free of charge in the campsite car park. We use our own and third party cookies to offer a better and more personalized service. If you continue navigating, we consider that you accept its use. more information in our Policy of Cookies.